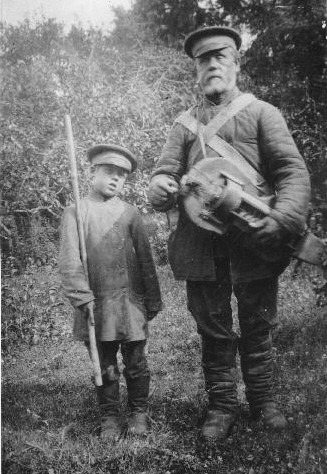 An unknown lirnyk and his guide or povodyr. Photograph taken along the roads of the Volodar region in 1905. Lirnyky were mendicants like kobzari and traveled as widely as they did, performing in houses, at fairs, and next to churches and monasteries during religious holidays.